I’ve never watched Twin Peaks, so I have no idea if this book is true to the show, or in any way helpful to those who have watched it. To the uninitiated it is a quick, harmless read that will pleasantly pass an hour or so, but then immediately fade from your memory. So, before it does, a quick synopsis: This book follows Dale Cooper from the day he gets a tape recorder for Christmas through to the day he heads off as an FBI agent to solve a murder at Twin Peaks. The book takes the form of diary entries that he records on his tape recorder. These start with a 13-year-old’s interest in becoming the best Eagle Scout ever, to his discovery of the existence of girls, and then we follow him as he heads to university and ultimately begins his career in the FBI. We also see him cope with the premature death of his mother, his father’s remarriage and his own struggles with women. It is clear that Dale is very bright but has atrocious taste in women. One intriguing thing to, literally, come out of the book was this picture which was acting as a bookmark. E professes ignorance as to why she had cut out and treasured this picture. It could be that fans of Twin Peaks would get a lot more out of this as it would fill in some back story, but otherwise I wouldn’t rush to read it. It wasn’t badly written, or painful, just a bit unremarkable. 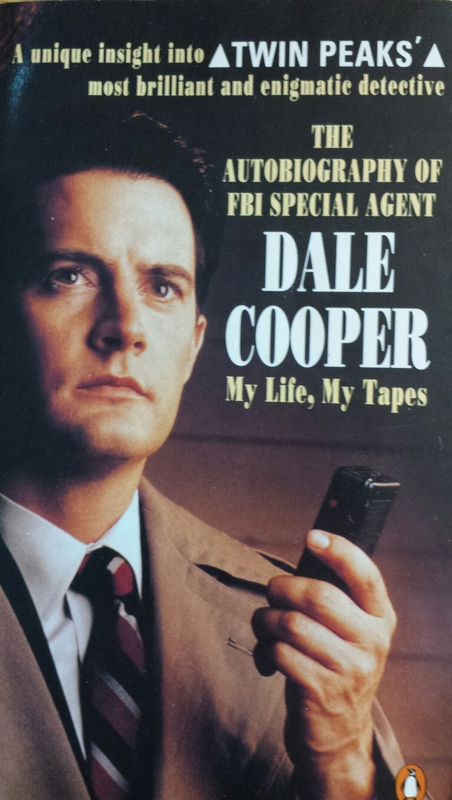 Tags: book, book review, books, Dale Cooper, FBI, Twin Peaks. Bookmark the permalink. Mission accepted! E has the box set so will make a start this very weekend. And please could you tell me who the murderer actually was when you have watched it. I don’t think I ever found out as the series went on indefinitely and I think I lost interest or got totally confused by it all! OK – I will do my best!